There comes a time in every online marketer’s life when they run out of things to write about. There are many solutions to this problem. You can hire someone to come up with ideas for you. You can hire someone to write the content for you, too. You can even purchase PLR (Private Label Rights). Grab a magazine from your coffee table. 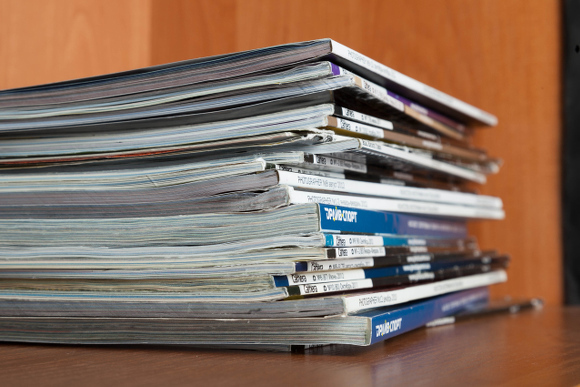 It doesn’t even have to be a magazine in your niche industry. Just about any magazine will do. Now take a look at the cover. Write down the headlines as they appear. Jump on a social networking site of choice and read posts in your niche. Visit the pages of your industry guru and read their latest posts and information. Chances are you’re going to find many content ideas. Read your own blog and review the comments. Skim past the ones that say ‘Thanks for the information.’ Those don’t offer any value to you right now. Instead, look for the questions or the meaty comments. Those are ideal for inspiring content ideas. Read your forum and blog comments on other sites. Often these comments are enough to be an article or blog post all by themselves. Just polish it up and format it for the web and you’re good to go. If the comment or forum post is short, expand on it. Use your feedback to create article and blog content on your website. Make a list. Lists are easy to make and they’re well received online. If you’re struggling to find content ideas, write down three to five list ideas and tackle them one by one. Do you have any tips or tricks that have helped you come up with content when you’ve been stuck before? Feel free to share them here in the comments section. Some of the best advice comes from fellow bloggers and content writers!